2016. Preserved Haddock skins with hand stitching. Held in Private Collection. 2017. Preserved and hand stitched salmon and haddock skins. 133cm x 78cm. Held in Private Collection. 2017. 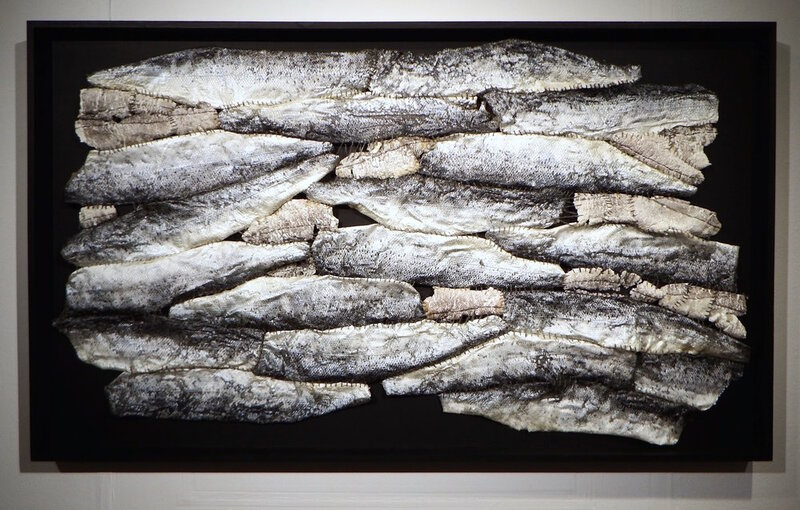 Naturally preserved Shetland cod skin and hand stitching. 2017. Naturally preserved Shetland cod skin with hand stitching.